Wood is a material that fascinates people – it is warm, natural, and its unmistakeable form sits comfortably in the palm of our hands. There are many good reasons for studying wood technology. Wood is easy to work with, offers untapped technical potential for modern, innovative products and as a native renewable raw material it helps us conserve the world’s finite resources. Rosenheim’s practical course in wood technology is as unique as the material itself. For over 80 years now, Rosenheim’s wood technology specialists have been climbing the ladder of success and enjoy a broad range of career opportunities. 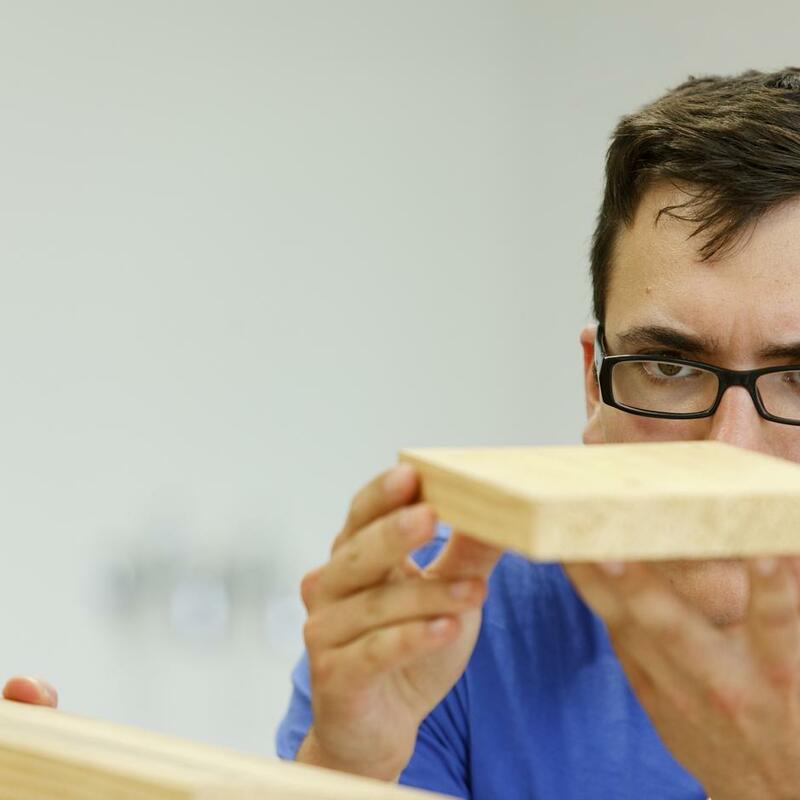 As a leading educational establishment for wood technology engineers, Rosenheim University of Applied Sciences influences this sector on a global scale and offers its students innovative perspectives and an international network of contacts. The general engineering course with its broad-based training in organisation and business administration opens doors to a large number of possible areas of employment. Application form: online at "My university portal"